Advanced wound care products are used by healthcare practitioners. It is a therapeutic approach for encouraging effective wound healing process. Advanced wound care management treatment uses moisture therapy, which provides moist microenvironment that stimulates the natural healing process. The products used in moist wound care includes film and foam dressings, hydrogels, alginates, and hydrocolloids. This therapy besides maintaining hydrated environment, also keeps the temperature consistent, allows flow of oxygen, removes dead tissue, protects the site from exogenous infection, and eases the pain associated with dressing changes. Asia Pacific is an emerging region in the advanced wound care management market. This is owing to increasing number of global players tapping in the region. For instance, in January 2016, Avita Medical and INDEE Medical signed a distribution agreement for ReCell Device — a medical device used in conjunction with conventional treatments for burns and reconstructive procedures — in Japan. In January 2015, Mundipharma started distribution of Medifoam (also known as BETAplast in South East Asia) in South Asian markets such as Malaysia, Thailand, and Vietnam including China and South Korea. Furthermore, in February 2014, ConvaTec, introduced its revolutionary Aquacel Ag+ wound dressings in European Union, Canada, Hong Kong, and Malaysia. Also, in the same year, ConvaTec started operations in India to up bring novel healthcare technologies and treatment measures in Asian market. Also, in 2012, Smith & Nephew launched 23 new wound care products in Asian market. Wound care management products are classified as traditional wound care and advanced wound care products. Globally, traditional wound care management is more popular, in which health practitioners use wound care products such as medical tapes, dressings and bandage rolls to protect the wound from external factors and to prevent bleeding, and infections. Advanced wound care products encourage the natural healing process, without blocking the wound and include the use of foam dressings, alginates, hydrogels, and hydrocolloids. These products maintain the conducive environment of wound healing, optimum oxygen flow, consistent temperature and protection from external environment. Major factors driving growth of the advanced wound care management market include increasing prevalence of diabetes coupled with chronic wounds, and growing geriatric population. According to Centers for Disease Control & Prevention (CDC) in 2016, 23.6 million people suffered from diabetes, which is 7.8% of the total population in the U.S. One third of the diabetic population in the U.S also suffered from lower extremity wounds. However, high cost of treatment, is one of the factor expected to hinder growth of the global advanced wound care management market. This report provides an in-depth analysis of global advanced wound care management market provides market size (US$ Million) and Cumulative Annual Growth Rate (CAGR %) for the forecast period (2017–2025), considering 2016 as the base year. It profiles leading players in the global advanced wound care management market based on the following parameters – company overview, financial performance, product portfolio, geographical presence, distribution strategies, key developments and strategies, and future plans. Insights from this report would allow marketers and the management authorities of the companies to make informed decision regarding their future product launches, technology up-gradation, market expansion, and marketing tactics. The global advanced wound care management market report caters to various stakeholders in this industry including investors, suppliers, product/device manufacturers, distributors, new entrants, and financial analysts. Stakeholders would have ease in decision-making through the various strategy matrices used in analyzing the advanced wound care management market. 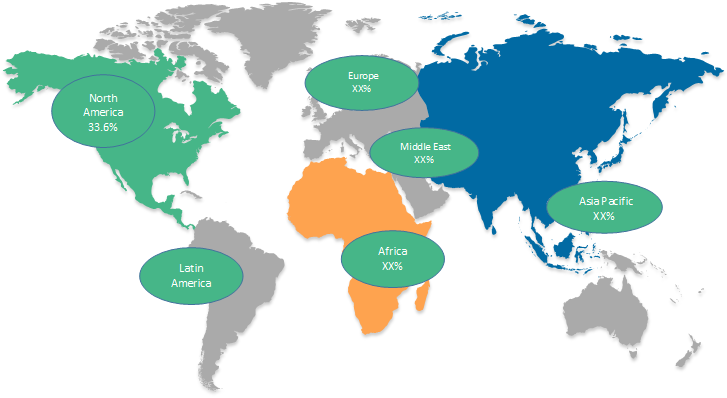 *Browse 27 market data tables and 35 figures on "Global Advanced Wound Care Management Market - Global forecast to 2025”.